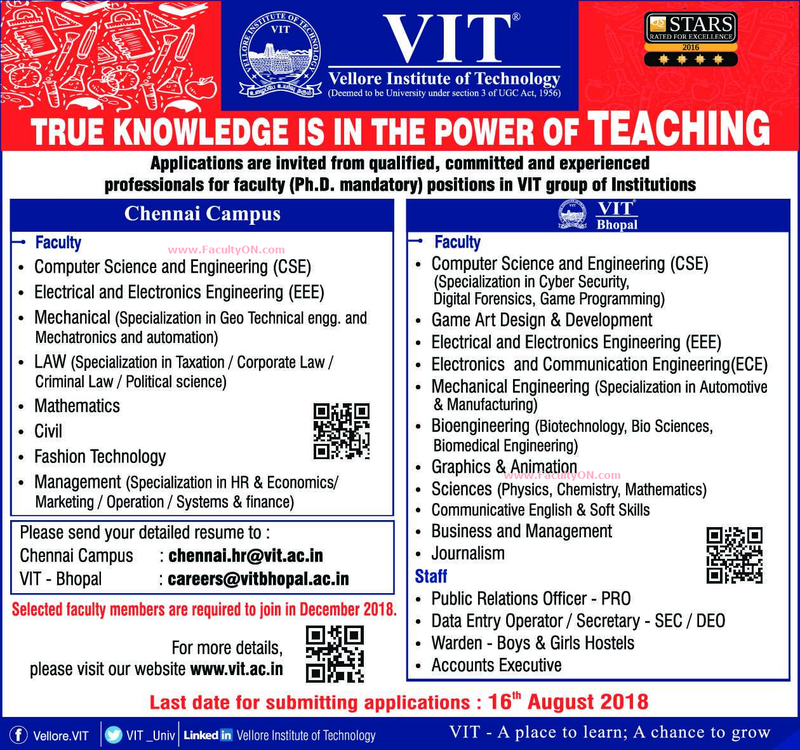 VIT University, Chennai has advertised in THE HINDU newspaper for recruitment of Professors / Associate Professors / Assistant Professors jobs vacancies. Interested and eligible job aspirants are requested to apply on or before 16th August 2018. Check out further more details below. About University: VIT University was established with the aim of providing quality higher education on par with international standards. It persistently seeks and adopts innovative methods to improve the quality of higher education on a consistent basis. The campus has a cosmopolitan atmosphere with students from all corners of the globe. Experienced and learned teachers are strongly encouraged to nurture the students. How to Apply: Interested and eligible candidates are requested to apply send detailed resume via email addresses mentioned below.